The Escapist's Josh Engen, Josh Vanderwall, and Janelle Bonanno will be sitting on some of MomoCon's panels. MomoCon has quickly grown to become the largest gaming expo in the Southeast U.S, and its 2015 show is set to be no exception. Some big-name developers, like Gearbox Software and Sega, will be hosting panels, and The Escapist's own "J-team" (Josh Engen, Josh Vanderwall, and Janelle Bonanno) will be in attendance, and sitting on some of them. The show will also feature a collection of celebrities from the gaming world, including Hey Ash Whatcha Playing? 's Ashly Burch, and the voice of Master Chief himself: Steve Downes. 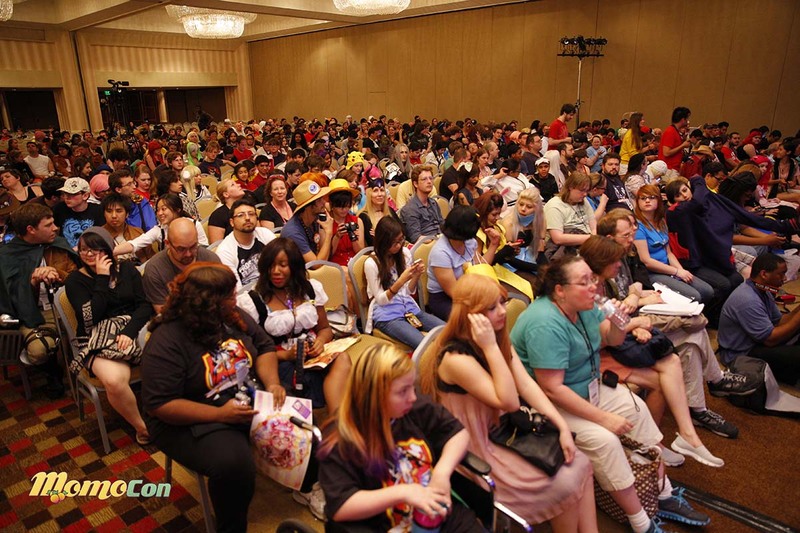 MomoCon 2015 will take place Thursday - Sunday, May 28 - 31 at the Georgia World Congress Center in Atlanta. This year's event will also feature the first annual MomoCon Indie Game Awards. Twenty finalists will be selected from the pool of submissions prior to the conference and will be playable on the expo floor. Winning entries chosen from the 20 finalists will be announced in an awards ceremony on Saturday. The turnout for the show is expected to top 20,000 this year, and while there is a focus is on gaming, it features a bunch of anime, comics, and other pop culture attractions. Heh, for a moment I thought from the title that they'd all be on the same panel which certainly would've been interesting to watch. Better than a stick in the eye, I guess! And Sega talking about remastering their 'masterpieces'? I'm wondering where all these remasters are then? Or hey... Why they think it's worth doing a third rate translation of a major title into English, then releasing it only for a region that barely used english as its major language? Or... Why they are even trying to be honest anymore. Unlike the Dreamcast, there's no last brilliant flare of quality in their games, just sad... sad sputtering fumes. Sell off Sonic to Nintendo, give Phantasy Star to... I don't know Square maybe? And hand Skies of Arcadia to... Well Atlus. After they give the entire company over to them, because I still see it as a travesty that Atlus is forced to carry their dead weight around. Given his decision to go work on some Hulu series, is it safe to assume we won't be graced with the keen insights of the other A. Burch? How about Randy Pitchfork?